Your content and number of followers may help you to earn money online by blogging. The basic concept is that the number of Ads agencies are available in the world and try to search the website, which followers are increasing day by day and then they share his interest with site content. They provide assistance to optimize the site with ads. Now you have to choose, which ad agency is best for your site content. These ads agency gives money to his publisher by CPC, CPM, PPC etc. The number of top bloggers is working worldwide. 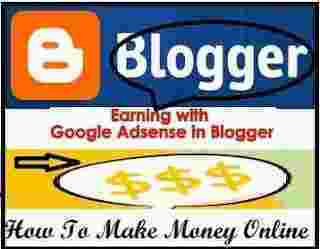 His earning is marvelous and energetic for the new blogger. I have searched several sites and collected the details of blogger, that sites are attracting people and share valuable and good content among them. These bloggers inspired me to start blogging online and write unique and valuable content for our followers. I am not very sure but the earning of these bloggers will be awesome. Searched the traffic of his site and get decent results. This traffic will generate decent money by Adsense and other Ad Agency Ads. Here I only share the daily traffic report of the below-given site. You have to assume about the income of these sites owner. Now, look Top 11 Bloggers From World. 1. Gothamist - Owner of this site is Jake Dobkin. This site receives traffic from US, UK, Canada, Germany, and other countries. Daily Visitors Traffic is - 141000. 2. Life Hacker - The owner of the site is Gina Trapani. The traffic of the site comes from Europe-ion Countries. Daily Visitors Traffic is - 443000. 3. Techcrunch - Owner of the site is Mr. Michael Arrington. Similarly, traffic comes from Europe-ion Countries. 44% of traffic comes from the USA. 4. SmartPassiveIncome - Site owner is PatFlynn and earning based on Affiliate commission. The site content is not very vast and pathetic for readers. They increase the motivation to go to other pages. 41% of traffic comes from the USA and 12% from India. 5. Problogger - This site owner is Darren Rowse and his earning is very good. The content of the blog is written in simple English and everybody can understand the meaning. Major traffic comes from USA - 32%. 6. Steve Pavlina - The site owner name is Steve Pavlina. The maximum interaction of visitors is from the USA. That is 43%. Top Indian Emerging Blogger And Site Traffic. 7. ShoutMeloud - Harsh Agarwal is the owner of the site. The earning based on affiliate marketing and other resources. His traffic strength is unique and motivational. 8. Trak.in - Arun Prabhudesai is the owner of the site. He updates the site with new and unique content. All post is well equipped with depth knowledge and investigation. They gain 89% traffic from India. 9 SaveDelete - Owner name is Jaspal Singh. Blog share information on technology and mobile update. This site receives 33% traffic from India. Very good information has shared about technology. 10. DevilsWorkshop - Rahul Bansal is the owner of the site. Content-based on internet and technology. He started to write the blog in 2006. Maximum traffic comes from India. 11. Tips2secure - Owner is Suresh Kumar. Content is good and capable to attract traffic internationally. Maximum traffic comes from India. These are the list of emerging blogger and his blog traffic. Traffic details may vary, so do not take it finally, this is approximate visitors traffic report for you. Blogging is part of passion. If you are creative and want to start to express your views with people of the world. Blogging is the right platform for you. Share your new ideas and concept and get recognition worldwide. When people take interest in your content or blog. Traffic will be increased day by day. The number of methods is available to earn money online by blogging. The best is affiliate marketing. You can easily track the effective keyword for your promotional product. The visitor quantity and quality is unique in this marketing. You can start to get affiliate code of those products, which are most demanding and relevant for your blog content. Like - get a tech affiliate special code for a technology blog. CPM Advertising - This is the best technique to earn money online. If your blog receives good traffic then this advertisement technique generate money through impression and clicks on ads. The very simple method to start working on this is to get Adsense code from Google and paste the code in right place. Ads will run directly after getting the approval from the company. Advertisement Through Banner - Number of reputed sites are available for the publisher to book the space of the blog if the blog complete the minimum traffic criteria then they approve the site and book the space for that particular company ads. PPC - This is the option available with those Ad agencies, which provide ads for the site and help to generate money if any visitors click on the ads. This way are generally use Google Adsense Ads. You will have to get approval from Adsense and follow up his TOS, otherwise, they can terminate your ads approval with immediate effect. The number of others Ads agency also provide Pay Per Click option to generate revenue online. This is up to you, which ad agency is beneficial and serve the ads as per your site content. The most important thing should not be avoided. If you sell the product on your blog and you are reviewing the product, first use it then write your comment on that. The other important points are that your site fulfills all SEO criteria. This will help to crawl site frequently and indexing blog post fast in the search engine.